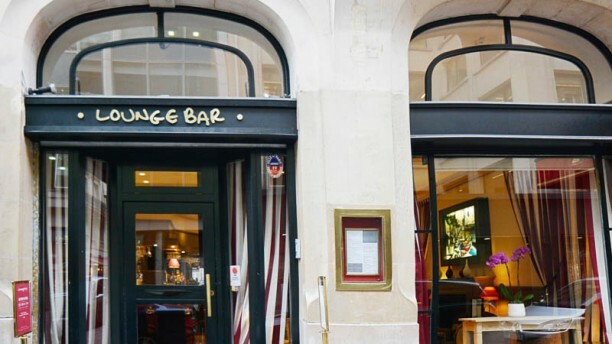 -30% on « Brunch », or 32,20 € instead of 46,00 €! Prix par personne. Validité : le dimanche. "The restaurant of the Hotel California, located in the golden triangle of Paris, welcomes you at a stone's throw from the Champs Elysées. The decoration of the hall, where you can now dine, has been reworked by the architect Paul Sartre. You can discover a wide range: sandwiches, meats, salads, soups and a selection of tapas as an appetizer or even an entrée of meals. In addition, the restaurant offers the option of drinking great wines by the glass to complete your meal. To enjoy a meal at any time, the Hotel California Lounge Bar provides continuous service. And for all music lovers, enjoy your dinner with an exceptional piano bar presentation." Well,i been here for 6 times..I love the place ,cosy and have privacy while dine ...food is delicious and presentable..The waiters are very nice...I love to back again.. Le meilleur brunch de Paris! Une excellente surprise ! Un service très attentionné, des saveurs justes et originales. Je reviendrai ! Butternut squash soup was exceptional. Fish was cooked perfectly. My son said the beef was tender and flavorful. The guinea fowl was slightly dry, but had excellent flavor. I don’t usually like rice as a side. It’s often too plain and over cooked. This had to be the best side of rice I’ve ever had. It was cooked perfectly and had a mild but savory flavor. Service was excellent. Wine was standard and only filled about a quarter of the glass. Seemed like a pretty small serving for the price. Loved the atmosphere. It was small but the tables weren’t packed in. We really enjoyed our dinner at here. So delicious !! Excellent !!!!! Je recommande à 100%. A Perfect location to eat healthly and work in a quiet and pleasant Lounge. Nice ambiance of a closed patio. We have ceasar salads which were good except the dressng was too watery and needed flavor. Service pleasant. Delicious food in a typical hotel restaurant setting. Although the discount promised through The Fork app wasn’t honored. Instead a lower discount was given (20% instead of 30%). recommande vivement le risotto ! !